We are so happy to announce that A Fragile Trust is finally available for personal viewing on both iTunes and Amazon!! In addition, if you are an educator or a librarian and are interested in setting up a screening for your class and/or purchasing a copy for your library, the film is also available for licensing through our fantastic distribution partner Bullfrog Films. Just click this link for a special promotional offer! Please contact us if you’re interested in setting up an interactive screening or having the filmmakers in attendance for any upcoming events. We’ve had hundreds of successful screenings all around the world and look forward to inspiring conversation about the importance of the truth in journalism – a subject that is more relevant now than ever before. 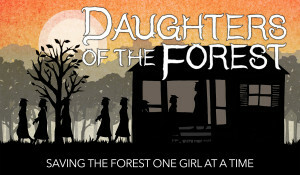 DAUGHTERS OF THE FOREST, Awards and Distribution!! Daughters of the Forest has traveled far and wide around the world and has had dozens of international screenings as well as several international television broadcasts. On the journey, the film has been recognized with several awards including the 2017 Audience Award at the Bali International Film Festival, the 2017 Best Environmental Film by the Mountain Film Festival and the 2016 Winner of the Doing Good Award at the Lifetree Film Festival, among others. We are thrilled to share that after a successful festival run and a series of community screenings (which are ongoing) we have secured an educational distribution deal for the film as well! 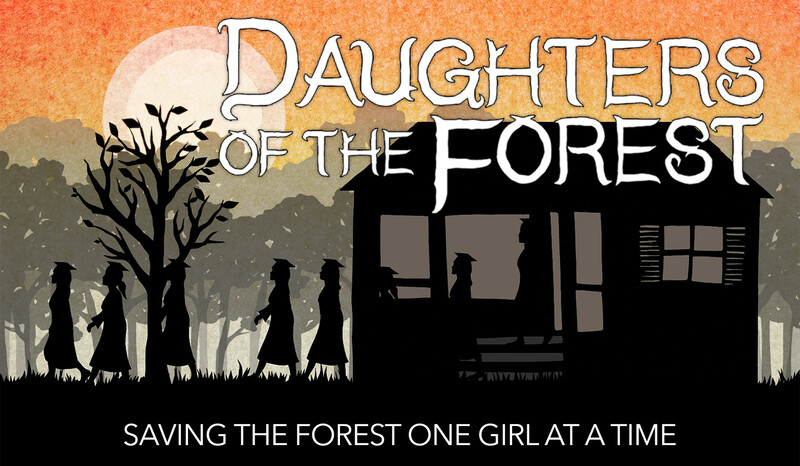 You can purchase your copy of Daughters of the Forest from Bullfrog Films, Inc. And if you follow this link, you will receive a friends and family promotional discount. After nearly 7 years in production, DAUGHTERS OF THE FOREST has finally been unleashed into the world. After a few private screenings for the hometown audience in Paraguay, we have screened / will be screening at some fantastic US Festivals like the Sarasota Film Festival, the International Wildlife Film Festival, and SF Doc Fest! Also, as part of the incredibly inspiring Women and Girls Lead initiative (sponsored by The Ford Foundation and USAID) we will be broadcasting on several international networks including in Kenya, India, Bangladesh, Peru, Jordan, Egypt, Malawi, El Salvador, and Colombia. Finally, our very own National PBS Broadcast, on the award winning series Global Voices, will be coming your way this summer. Stay tuned for more festival news and our PBS Broadcast date. A FRAGILE TRUST wins Two National Awards!! We were thrilled to find out that our feature documentary A FRAGILE TRUST was the First Place Winner of The National Press Club Award for Media Criticism AND the winner of the National Ethics Award given by the Society of Professional Journalists. Wow!! It is a huge honor to be on the list alongside these top-tier journalists. Stay tuned to the blog for news and photos from the upcoming awards dinners in Washington, DC and Orlando, FL. The film continues to make the rounds at Universities, Conferences, and in Community Centers around the country. If you are interested in booking a screening and/or a filmmaker appearance, please get in touch with our distributor Bullfrog Films. DECISIONS ON DEADLINE WINS SPJ AWARD! 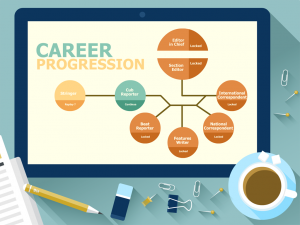 For the past several years, I’ve spent a lot of time thinking about how to make journalism education a bit more fun. One of the classes I loved in J-school was ‘Law and Ethics’ but I was in the minority. The reason for that is not that the material is not interesting, but rather that the presentation of the material is often reduced to reviewing and discussing case studies. 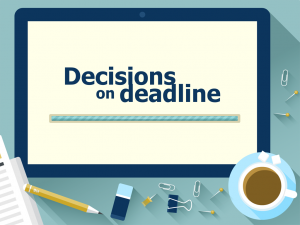 I wanted to come up with a more fun and interactive way to teach journalism ethics, so along with my co-creator Brittney Shepherd, I developed DECISIONS ON DEADLINE – the new fun and fast-paced browser and tablet based game that teaches journalism ethics for the digital age. I came up with this idea during my 2011 BAVC Mediamaker Fellowship, and continued to develop it long afterwards, and I’m thrilled to say that we got funding for the project from ITVS as part of their P360 Enhanced Initiative. We completed the browser and tablet versions of the game and launched the game along side the National PBS Broadcast of A FRAGILE TRUST on May 5th, 2014. Then, just a few months later, we were thrilled to learn that the game has received special recognition as this years Society for Professional Journalists Journalism Innovation Award Winner! A high honor that we hope will lead to increased exposure for the project. We’ve been having a great time bringing A FRAGILE TRUST to audiences around the world while touring the film festival circuit. We’ve been honored to be nominated for the Special Jury Prize at The Sheffield Doc/Fest, the Best Documentary Award at the Hawaii International Film Festival, and the Metropolis Award at DOC NYC. In addition to these fests, as of December, 2013, AFT is an official selection at the following fests: Hamptons International Film Festival, St. Louis International Film Festival, Fort Lauderdale International Film Festival, Hollywood Film Festival, Denver Starz Film Festival, East Lansing Film Festival, Big Sky Documentary Film Festival, and the Hot Docs Doc Soup Screening Series. Stay tuned as we continue to tour the festival circuit until our national PBS broadcast on Independent Lens – May 5th, 2014! Sheffield Doc Fest World Premiere! 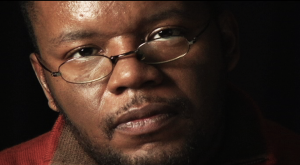 After 7 long years in the making A FRAGILE TRUST: Plagiarism, Power, and Jayson Blair at the New York Times will be having its World Premiere at one of the top international documentary film festivals in the world – SHEFFIELD DOC FEST. We are thrilled that A FRAGILE TRUST was chosen from the over 2000 films that were submitted and cannot wait to share all our hard work with the world. We even got a great mention in The Guardian UK’s coverage of the upcoming festival. In other news, we have a new website for A FRAGILE TRUST in the works, and lots more surprises coming soon. A Fragile Trust tells the story of Jayson Blair and Macarena Hernandez, two reporters who became entangled in a scandal that brought the New York Times to what publisher Arthur Sulzberger called "the low-point in the 152 year history of the paper." The US imports up to 70% of the roses grown in Ecuador, but it's only recently that the concept of Fair Trade Roses has been gaining momentum in the US. This film, produced for FRONTLINE/World, tells the story of Nevado Roses, an Ecuadorian farm that is fair and profitable. Through intimate conversations, family photos, and a road trip to Colorado City, "Now Leaving Colorado City" explores the origins of the polygamous FLDS church, and what it means for three young "apostates" to reconcile a challenging religious past with a bright and hopeful future. Every year, thousands of women in India sell a kidney to pay for basic things like food, housing, and clothing for their children. 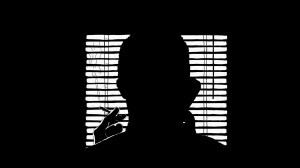 In this film, produced for FRONTLINE/World, reporter Samantha Grant meets all the major players in this sinister trade and learns how the outlawed practice continues to flourish.